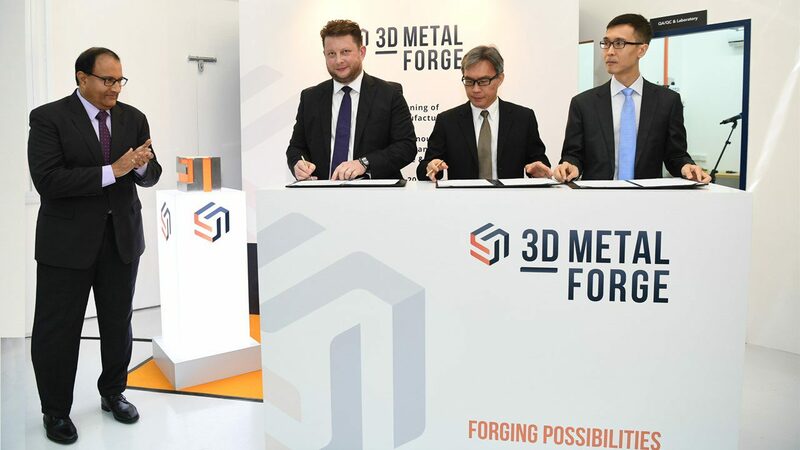 A project collaboration agreement was signed at the launch of 3D Metalforge’s AM Centre. The agreement is with NAMIC and SUTD’s DManD, to develop and commercialise hybrid wired-arc additive manufacturing technology. This technology uses cutting-edge robotics, plasma and machine technology to deliver a faster and more cost-effective 3D metal printing solution, offering 10 times faster printing speeds, as well as feed material of up to 5 times cheaper.